Recently, Johnny and I decided to drop everything and head out to Arches National Park. We’d had such a good experience with Zion National Park with Sally that we were itching for another mini-nature-getaway. Johnny and I were both having kind of blah weeks with this or that stressing us out, so Johnny suggested we leave for a day, and we did. Arches is just 3 hours away from where we live, so we left at 7:00 a.m. and were back on our couch, scrolling through our DVR, just 12 hours later. We started out with a 3-mile hike to Delicate Arch (seen above), and we planned to do a 7-mile hike afterward. But little Miss Sally had other plans. Since going to Zion back in February, Sally has grown two months older and two months grumpier. If she’s stuck in, say, a car seat or hiking backpack for more than 10 minutes, she does this non-stop, high-pitched whine, which we quickly found out upon embarking on our trip. So after the 3-miler, we decided to just stick to short hikes for the rest of the day. She drank the Gatorade with her eyes closed for at least a minute straight because, you know, sitting in a backpack and yelling into your dad’s ear is hard work, y’all! But, luckily, she did fall asleep for a little while. We went from being frustrated with her whining to stopping every few seconds to snap pictures of her cute sleeping face, which pretty much sums up parenthood. 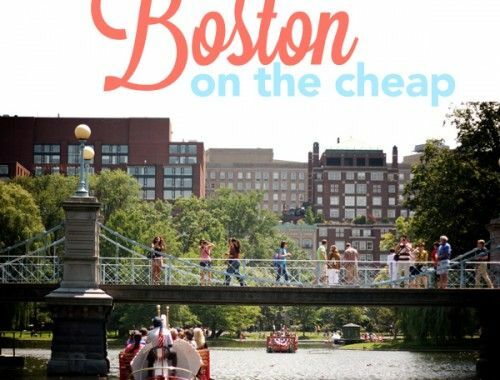 The nice thing about a day trip is that there’s no hotel/lodging costs to worry about. $60 for some time spent in nature, but we’re back in our own bed by the end of the night? We’ll take it! Obviously, the catch here is that we only live a few hundred miles away from some of the most incredible nature the US of A has to offer. 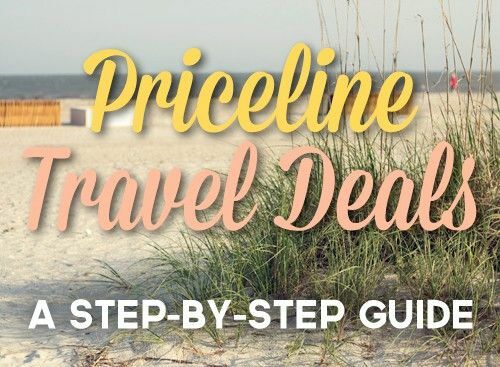 But if any of you find yourselves within a day’s drive of Arches (that means most of you in the Mountain and Pacific time zones) and you dig a good road trip, this is a frugal getaway you absolutely can’t miss. 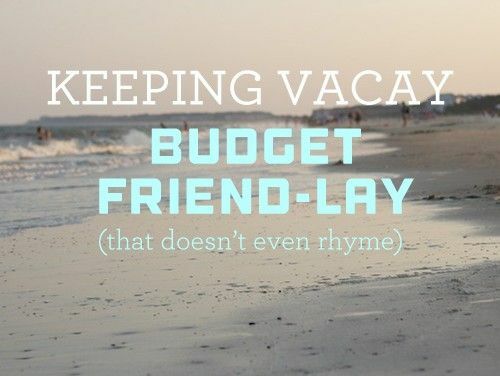 We can cross another mini-getaway off our list for the year! 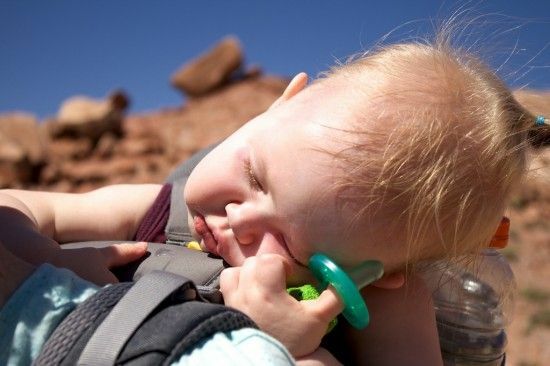 We still hope to do mini-getaways to Yellowstone and San Francisco before year’s end, but we’ll have to convince a certain 15-month-old that getting out of the house isn’t something to whine about! What are some day trips in your neck of the woods that you’d opt to do instead of staying the night? Stunning! Mother Nature is a badass. What a cool spot. We’re pretty fortunate in Utah because we’ve got five or six of the coolest, most breathtaking national parks within a five hour drive. There’s probably at least one national park within a day’s drive for everyone in the US, but I can’t promise they’re as cool as the ones out here. I think that’s a fantastic way to do it – mini trips are awesome. I’ve seen a bit of a trend towards slow travel and staying places for an extended period of time which may work for some but not for everyone due to costs and vacation time, etc. Right now, I’m all about the mini trips. I live in Canada about an hour from Niagara Falls/Buffalo, NY. We find ourselves at Niagara Falls at least once a year. We are also planning some provincial park camping trips. We plan to camp for 1 or 2 nights. When our kids were younger we camped for one night near Marineland which is kinda somewhat like Seaworld. The kids loved it. Our three kids are between 7 and 14 now and they can get grumpy, one doesn’t want to be away from their friends for too long and stuff like that to deal with. Lol! We have one trip planned this year to Chicago and Wisconsin but other than that – mini trips all the way. Most places are also about 3 hours from us so we planned to camp for one or two nights as I mentioned but now you’ve got me thinking a lot more about day trips!!! And you’ve got me thinking more about camping trips. Neither of us came from hiking/camping families, so our experience is pretty limited. Sally is probably a little too young (and grumpy) before we’ll really start considering it, but I would love to invest in some good gear over the next year and start taking some camping trips next summer. We had a similar adventure when we went to Washington DC for a day, at least as far as spending goes. Our son loved the Smithsonian air and space museum and I liked that it was free for all of us to get in. Paid $5 for parking and the rest was gas, which wasn’t even that bad in the Mini. From the pictures I’d love to see the arches but that’s a trip for another day. Oooo…. a Mini! Day tripping in style! We did a similar DC trip when we lived in NC. Can’t pass up on free history lessons. That’s sounds like a great day trip. This Sunday we leave for Zion and I can’t wait! We’ll end up spending a little more money since we have to travel from Los Angeles (and we’re stopping overnight outside of Vegas to break up the trip on the way), but it’s so worth it. I don’t know if we’ll be able to squeeze in Arches or Bryce, but we are truly looking forward to camping and hiking – oh yes, and using our new camera to take amazing photos! Just checked out your Zion post on the blog! Awesome that your fam made it work with a little one. And smart thinking on the Vegas pitstop. We’re thinking about visiting home (LA for me) sometime soon and we’ll probably copy you to make the drive less terrible. I was hoping to do a hiking day trip today, but there’s still too much snow! Our hiking doesn’t get good for a few months! We’ve got tons of great day trips (Most notable I suppose would be Mt Rainier National Park) within a few hours, but I’m not feeling like snow hiking today! Yeah, I’d pass on snow hiking, too. Hopefully it’s slushed up a bit for Free National Park Weekend! But Mt. Rainier is definitely on our top 10 list. Ha! We’ve got a National Parks Pass! There’s no way I’d go to a National Park this weekend! (How snobby of me!) I hope you guys get to do something fun! When we visited Utah last year, we asked about getting a deal for people who are visiting a lot of parks, and the ranger at Arches said they had a pass that was “only for locals.” We believed him, and it wasn’t until we got to our fourth park (Bryce) that a ranger happened to ask us our plans – it turns out that it was a way better deal for us to do the National Parks Pass. It wouldn’t have been if we had only been doing the 5 Utah parks in a week, but hubs usually buys a Rainier Pass as well, so we saved $$ by getting a National Parks Pass. Thankfully they took our receipts from the previous parks, and credited that to our National Parks Pass. 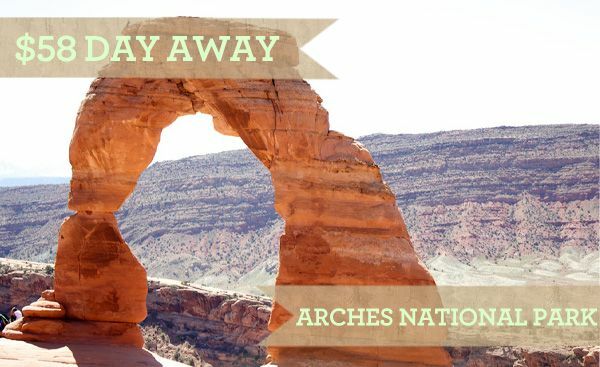 I’m still annoyed with that ranger at Arches – apparently he didn’t realize that there are National Parks outside of Utah that one might choose to visit! SALLY’S. CHEEKS. I love love love them! In other news, day trips can be the best and it looks like you guys have so many beautiful places around you! 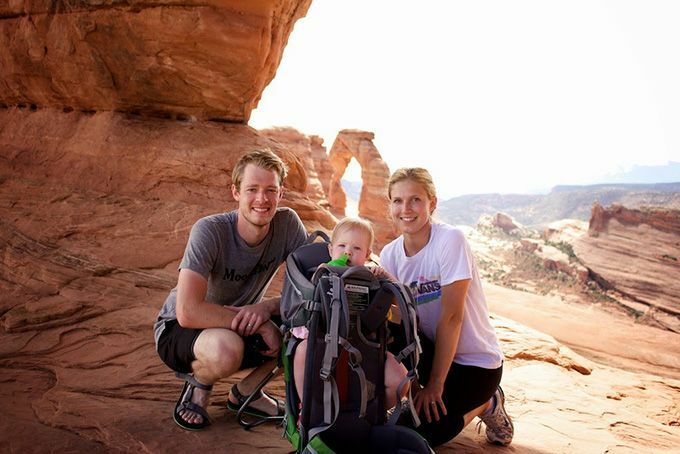 Utah’s where it’s at for killer nature day trips. We definitely didn’t take advantage of it the first go around we were our here for school, so we’re trying to make up for our lameness.